Jake Gyllenhaal has finally confirmed he’s playing Mysterio in Spider-Man: Far From Home with a hilarious Instagram post. Earlier this year The Hollywood Reporter, reported that Gyllenhaal was playing the classic Spider-Man villain but neither Jake or Sony Pictures would confirm who he was playing. In his first ever Instagram post, however, the 37-year-old actor seems to have confirmed he is indeed playing the master of illusions, the menacing Mysterio. 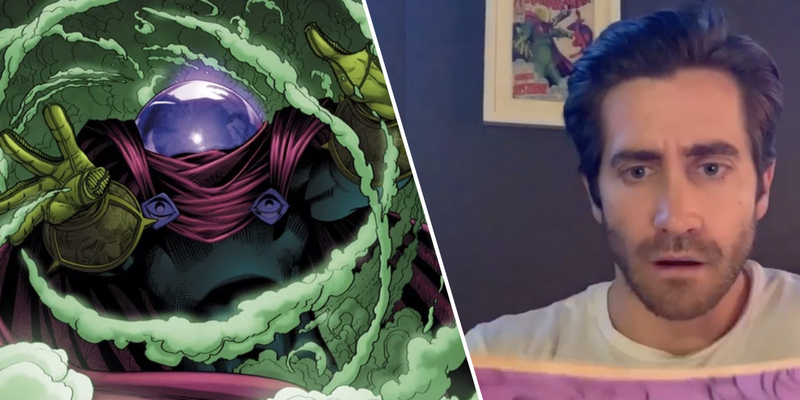 While this is the first time the actor’s publically acknowledged he’s playing Mysterio, Marvel fanatics have known for a while ever since pictures of Gyllenhaal in the classic Mysterio costume leaked online. He clearly never shook that brief flirtation with the character. Spider-Man Far From Home will swing in UK cinemas on July 5, 2019.